I am getting this error, please help me. > Cannot evaluate module picasso-master : Configuration with name 'default' not found. i add these lines in build gradle file too. but same error coming. what shall i do now. please help me. Could you please tell me how I add picasso library? Take a look at your libraries folder, the library you just added should be in there. Not the answer you're looking for? 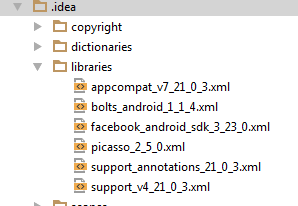 Browse other questions tagged android android-studio picasso or ask your own question.